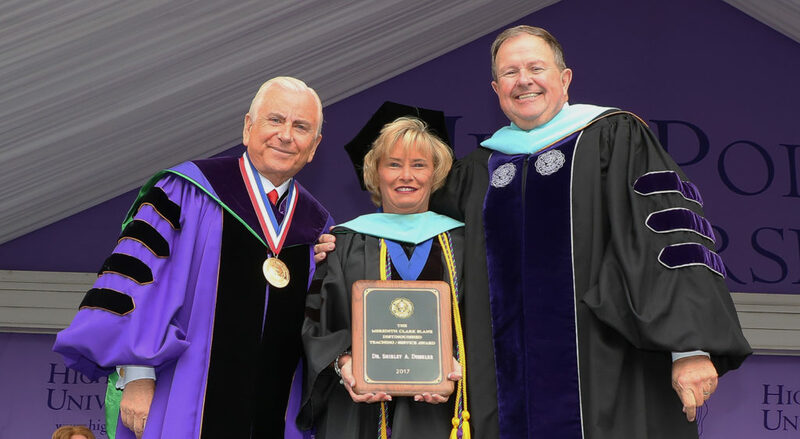 HIGH POINT, N.C., May 11, 2017 – Dr. Shirley Disseler, associate professor of education at High Point University, received the Meredith Clark Slane Distinguished Teaching-Service Award during the 2017 Commencement ceremony. 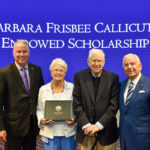 The award is named for Meredith Clark Slane, a friend to the university, and has been given annually since 1973 to recognize excellence in teaching. 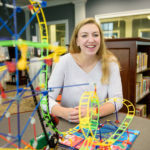 As a professor in the Robert and Maggie Stout School of Education, Disseler teaches a variety of undergraduate and graduate courses that prepare HPU students to teach science, technology, engineering and math in schools. Affectionately known as the “Lego Lady,” she and her students also have hosted more than 10,000 schoolchildren and numerous educators on HPU’s campus for Lego Education events. These programs include field trips, a teacher academy, STEM Summer Camp, Lego Showcase community days and a new HPU Robotics Competition. 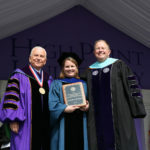 HPU Provost Dr. Dennis Carroll, who presented the award, says Disseler represents the best among faculty in teaching and service, and her impact is unsurpassed. Disseler came to HPU in 2010 with degrees from Campbell University and the University of North Carolina at Charlotte. 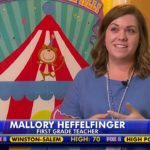 She previously served as a curriculum specialist with the Rowan-Salisbury Schools. She also served as a middle school teacher.